What is Qardio Multi-Measurement Averaging Mode? Qardio Multi-Measurement Averaging Mode is the analysis of up to 3 successive QardioArm blood pressure measurements taken at custom intervals. This helps achieve higher blood pressure data accuracy by accounting for natural blood pressure fluctuations. Why use Qardio Multi-Measurement Averaging? Doctors recommend taking at least two blood pressure readings every time a measurement is taken and averaging them, because blood pressure can be affected by even the smallest external or internal factors. Anxiety, stress or emotional upset can cause a fluctuation in blood pressure. Temperature is another common factor that can cause blood pressure variation – for example, if you have been in a warm room, taken a hot bath or just come inside from the cold, any of these can cause a change in your blood pressure readings. What you eat and drink can also cause blood pressure fluctuations. Fermented or pickled foods, along with drinks containing caffeine or alcohol can impact or skew blood pressure readings. There are many advantages of using Qardio Multi-Measurement Averaging to users, patients and medical professionals. It improves data reliability for effective heart health monitoring – doctors regularly use blood pressure averaging methods to ensure patients are given a correct diagnosis and assigned suitable treatment plans. How to enable Qardio Multi-Measurement Averaging? Enabling Multi-Measurement Averaging in your Qardio App is straightforward and easy to do. 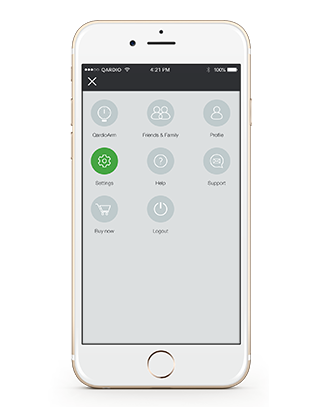 To get started, simply open your Qardio App and tap on the “Q” in the upper left hand corner to open the menu. In the menu tap on “Settings” and scroll to the “QardioArm” section. Your QardioArm is set up to take single measurements by default. 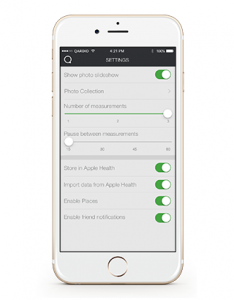 You can adjust the number of consecutive measurements to be taken from one, to two or three. Then select the length of pause between measurements, from 15 to 60 seconds. 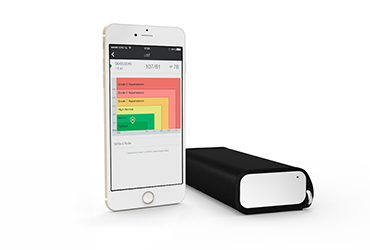 The next time you use your QardioArm, it will automatically take the number of consecutive measurements you have specified and average them, providing a more accurate overall reading on your blood pressure. 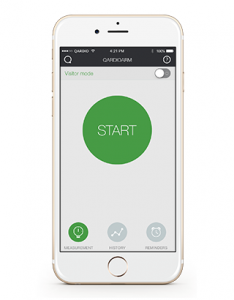 QardioArm is a wireless blood pressure monitor that syncs with the free Qardio App. Colour coded charts and graphs help you understand your results better and see how they are changing over time. You can also easily share your data with your doctor or medical professional. QardioArm comes with a relaxation mode and multi-measurement averaging to ensure the highest accuracy readings. QardioArm also lets you schedule measurement reminders to make sure you never miss a reading again. QardioArm users are 3x more likely to measure as often as their doctor had recommended compared to traditional BP monitor users. Understand how well your heart is doing by regularly checking and recording your blood pressure with QardioArm.